American Red Cross serves humanity Join! Artist : Wilbur, Lawrence. 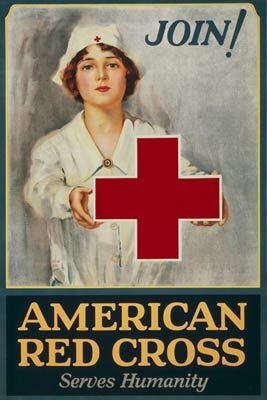 American Red Cross membership drive poster showing a Red Cross nurse holding a large red cross.